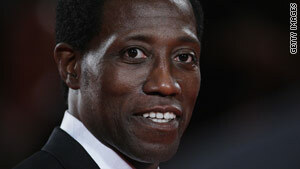 Actor Wesley Snipes was sentences to three years in prison for failing to file tax returns. (CNN) -- A federal appeals court has denied actor Wesley Snipes' claim that his three-year prison sentence for tax evasion was "unreasonable." A panel of judges in the 11th Circuit U.S. Court of Appeals upheld Snipes' 2008 sentencing on three misdemeanor counts of failing to file tax returns. "The district court acted well within its considerable discretion in sentencing Snipes to thirty-six months in prison," the judges said. Snipes had argued that the only reasonable sentence would have been a period of probation. Snipes had been granted bond while he appealed his conviction on federal tax charges. It was unclear when he would be required to report to prison. Snipes argued that the judge who sentenced him in April 2008 did not consider mitigating factors like his college education, family and charitable activities. Federal prosecutors diverted the checks to the U.S. Treasury, which accepted the payment -- but it wasn't enough. "It's essentially a down payment, but a fraction of what he owes," Assistant U.S. Attorney Scotland Morris said at the time. Snipes, who has starred in dozens of movies including the "Blade" trilogy, "Major League" and "Murder at 1600" had received the support of many of Hollywood friends. Defense attorneys filed 39 pages of testimonials about Snipes, letters from a Hollywood "Who's Who" list and also high school friends and his employees.